It had the dreaded BSOD (Blue Screen of Death) which seems to have plagued many, many users on the internet. At least according to Google. The guy I bought it from was told by HP that they estimated the repair at around $900, but it could run further up if it was a “serious problem”. Let’s hope it’s not, so I’m not paying that much to get this fixed. So the first option is ruled out. Second option almost seems like cheating, doesn’t it? 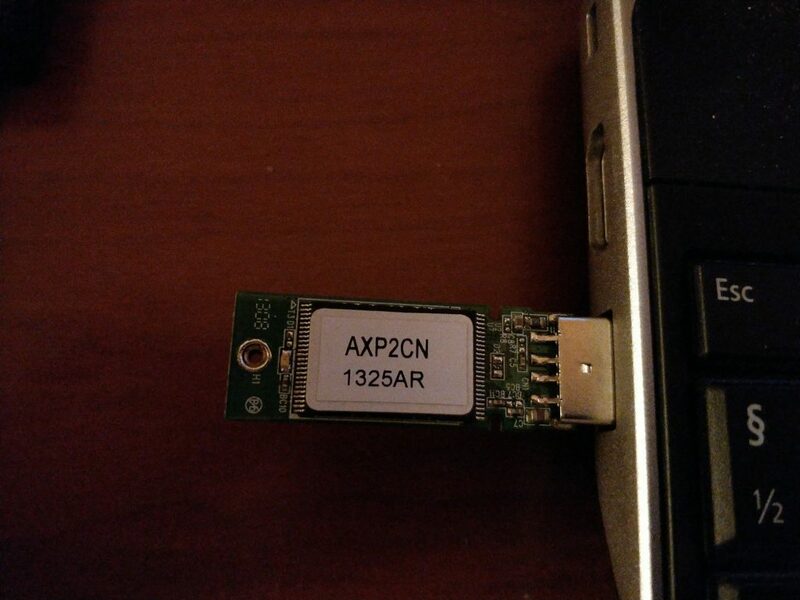 I mean, inventive people on ebay are selling these USB keys, and they don’t look original to me. Option two is clearly an option though, as an original key is quite cheap at around $40 here in Denmark. As the last one is by far the most time wasting and challenging, I just *had* to try it. Who knows – I might fail – and I might succeed. Either way, I’ll probably learn something along the way. So step 1 was to dismantle the printer, to get to the logic board. This requires you to remove the lover front panel, by yanking it out (it’s held in with 6 clips), and removing 5-8 screws from the left panel. Then slide that off, and you have access to the main board. There are three screws holding that in place, so remove those too. To remove the “HP Encryption USB Key” you probably need to remove a small screw holding it in place (accessible from the front of the main board). 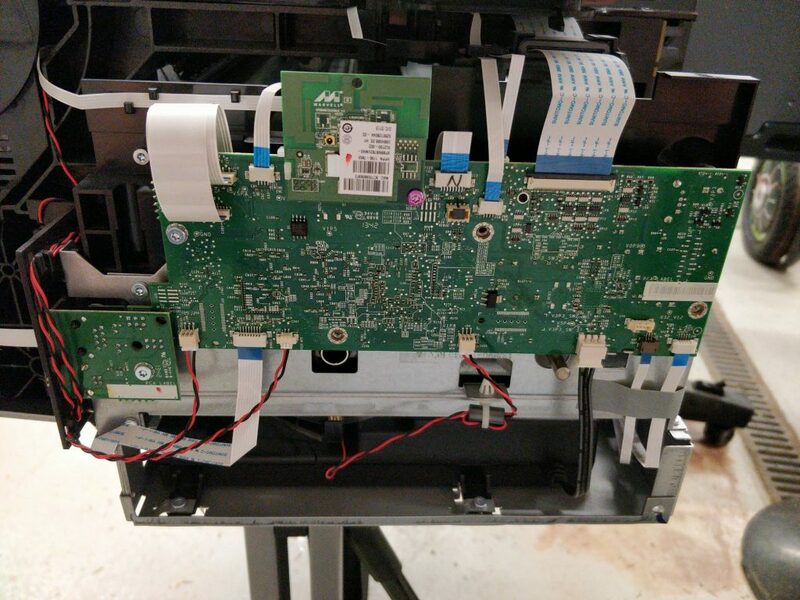 Then remove whatever cables needed from the upper portion of the main board (be careful with the wide LCD cable). Then carefully remove the USB key – I was able to do it without removing the board entirely. So with the mysterious key in hand, I plugged it into a Linux machine, where it appeared as a 1.9GB FAT32 formatted drive. WTF – everywhere I look, it’s reported as a non-standard USB key. This seems to be an outright lie, getting you to choose option 1 or perhaps 2 instead. So three partitions, of which only the last one was formatted as a drive. I dd’ed all data onto my computer and started looking at it. The MBR is just an MBR partition table with no boot code at all. OK, so the USB drive is just an USB drive – I’ll just get another one (4GB Kingston) and dd everything back onto this one. Perhaps that would work? …… no dice. Printer just stands there after loading a while, total black screen and beeps in disgust: “Try harder, human”. WHAT? Whatwhatwhat … aaaah, okay, so the USB key is actually broken. I mean it works, but whatever you put on the key is not what you get back. So the onboard NAND is hosed. This explains why neither the primary firmware or secondary works. Alright – off to HPs site, download a new firmware file, and put that on the Kingston drive? But no – not so easy. 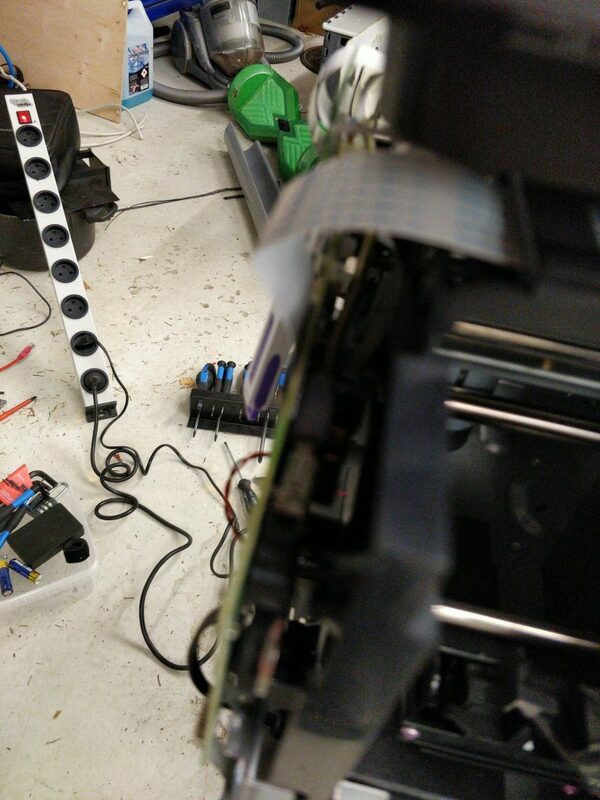 Firmware files for this printer is in the .FUL format, which stands for “fail u l0ser” (no it doesn’t), as it’s a PJL formatted file that you’re supposed to send to the printer to be able to upgrade it. So it’s not binary – well it is, but it’s a mess of mysterious blocks and whatnot, so it wasn’t going onto the USB key in the original format. 00000068   31 36 33 38  34 73 41 1B  16384sA. 00000080   62 31 36 33  38 34 56 FE  b16384V. 00000098   E6 67 30 D7  F3 3B 3B DE  .g0..;;. 000000A8   01 B1 47 D4  77 28 97 8B  ..G.w(..
000000B0   0F A0 DF 92  99 38 D1 B3  .....8..
Googling for variations of HP printer firmware, FWUPDATE etc. 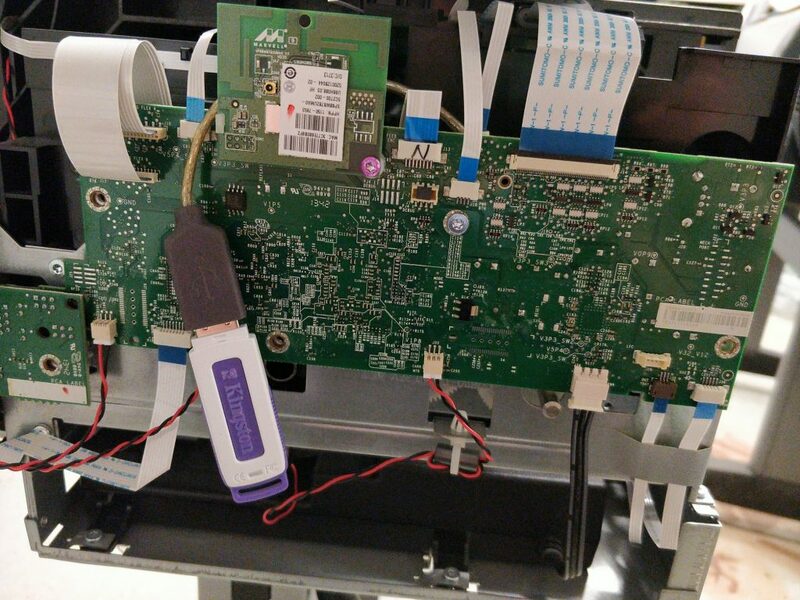 yielded nothign usable, but quite an interesting read on hacking other HP printers. So a mysterious format to tinker with – and I had dumps of earlier versions of the firmware (with random corruptions to spice everything up), so perhaps patience and staring would bring a solution. After two nights of patience, I’d reversed the format to my satisfaction and reassembled the firmware from the update. It involved reverse engineering the block format of the update, which involved plain blocks, RLE compressed blocks and 2 blocks of some sort of repeating zeroes compression format that I had to figure out. Fun times! The firmware update from HP has a signature at the start of the file, beginning with FE ED F0 0A …. 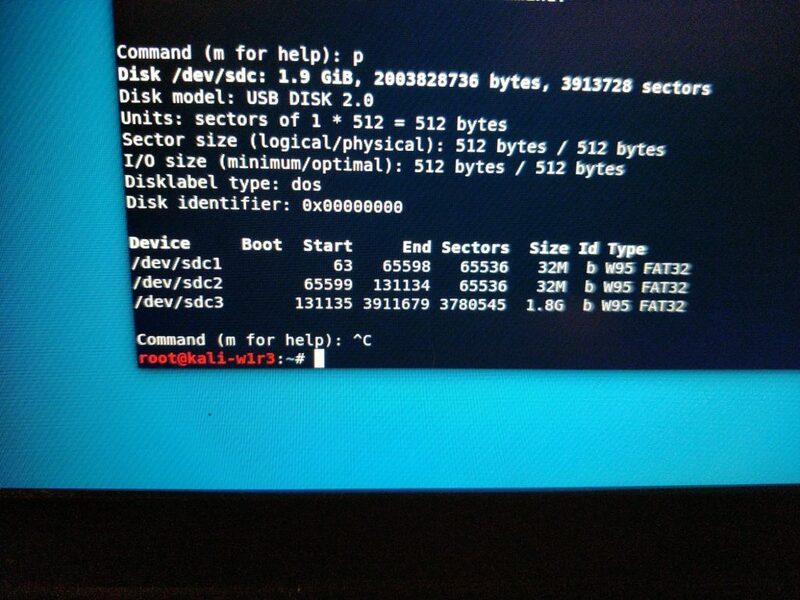 the firmware starts from 83 50 00 00, and on the USB key it has to start with FE ED F0 0D (I see what you did there, HP!) so I’m writing the header myself and skipping the signature. You *might* need to adjust this if HP decides to change anything at a later point in time. My resulting file was 28327670 bytes long, which I kinda-sorta validated by looking at offset 0x00000008 in the file, which contains the value 0x01AFFFF8. The file length is 16 bytes more than that, and comparing various offsets from the corrupted version looked like I got everything wrong. Exciting, isn’t it? So I dd’ed my manually decoded firmware file to my Kingston drive to both partition1 and partition2. With a smug smile on my face I plugged it in ….. and it booted straight up! Partition it with fdisk, using the fdisk dump from earlier in this post (notice: partion1 starts at sector 63), also I think you can make partition3 the size of the rest of the drive, but I didn’t experiment. 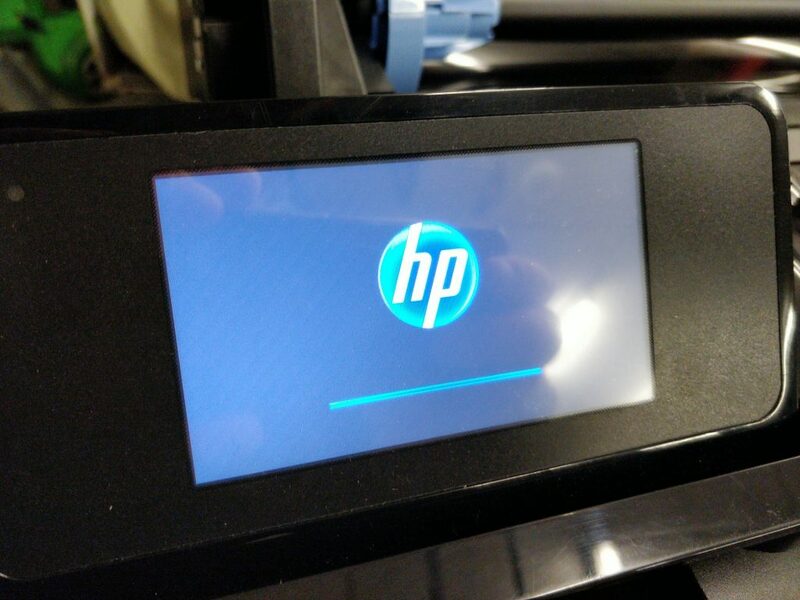 Download latest firmware for your printer from HP (beware, there are two variants depending on the age/model of your printer) and run it through my program. There are some debug output, don’t worry about this. Check that first bytes in file is FE ED F0 0D 83 50 00 00 and that the next 4 bytes represent the total file size minus 16 bytes. 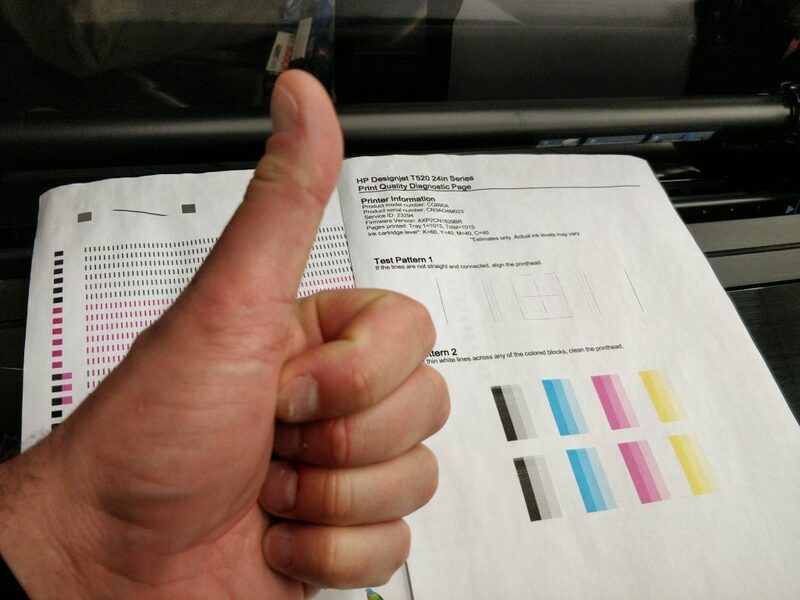 The above fixed my new scrap printer – it might not be universal, but if you know what you’re doing, hopefully this should help you get everything sorted out.